Today Dunlop announces its renewed status as Official Tyre Partner of the TT Races and has extended the agreement to include Sponsorship of the Classic TT. The decision follows the tyre manufacturer’s massive success at the 2014 Isle of Man TT Races and underlines their commitment to motorsport on two and four wheels. 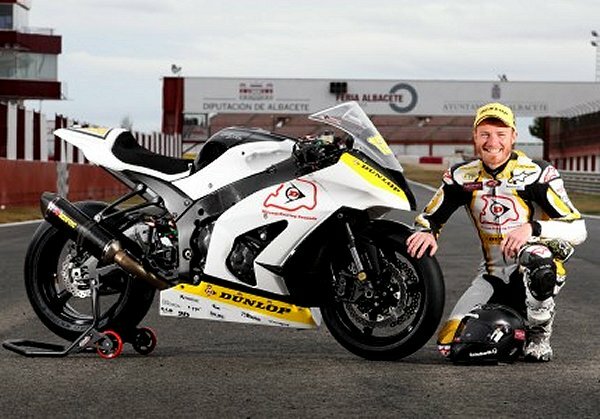 Dunlop has had unprecedented success at the Isle of Man TT and at the 2014 TT Races took 13 out of a possible 15 podium places in the Superbike, Superstock and Supersport classes. At the Classic TT, Bruce Anstey claimed first place in the esteemed race on a Dunlop-shod Grand Prix YZR500 Yamaha. The Classic TT Races take place between 29th and 31st August as part of the the Isle of Man Festival of Motorcycling, with three races over the famous 37 ¾ mile TT Mountain circuit, the VMCC Festival of Jurby, a stunning Parade Lap and additional activity including exhibitions of racing motorcycles, legendary rider autograph sessions and a paddock carnival. “Dunlop is a company that was born to win. Ever since John Boyd Dunlop invented the pneumatic tyre to give his son competitive advantage in a tricycle race more than 125 years ago, Dunlop has been racing to win at event such as the Isle of Man TT.